Brimming with wit and wonder, The Australian Ballet’s brand new staging of Cinderella is a world-class production set to thrill audiences for many years to come. 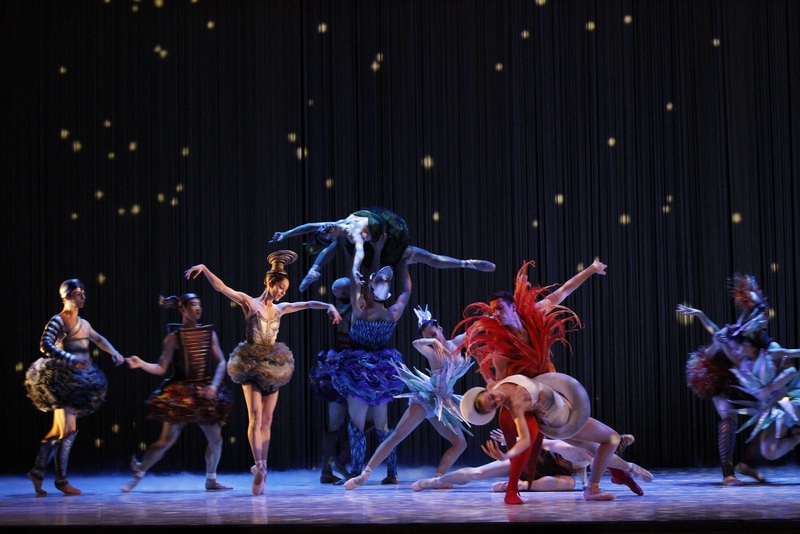 Having successfully lured choreographer du jour Alexei Ratmansky to Australia, The Australian Ballet has supported his vision with a top creative team and sterling production values to bring their designs to life. And, of course, the superlative quality of our dancers speaks for itself. Sweeping romance and delightful humour characterise Ratmansky’s take on the time-honoured tale, with strong acting skills required from the dancers. The setting of Russia between the World Wars highlights the social divide of the plot and adds weight to Cinderella’s dreams of a better life. Ratmansky’s style is not unlike that of fellow current in-demand choreographer Matthew Bourne. Abundant comedy derives from the characters, particularly their conceit as to their place in the world. Storytelling is crystal clear and characters are richly drawn. Integration of dance and design is seamless to the point of being inseparable. We meet the ugly-natured Stepmother and Stepsisters preparing for the ball with unattractive wig fittings and ineffective dance instruction. The Fairy Godmother recreates the torn portrait of Cinderella’s dear mother before whisking Cinders heavenward to dance with the planets in preparation for the ball. The Prince’s search for the owner of the glass slipper takes him to the Orient and the Middle East before the hard-earned happy ending ensues. Globetrotting French designer Jérôme Kaplan has created sumptuous designs that play a huge role in the storytelling. Grand as the sets are, they are able to effortlessly dissolve from scene to scene. At the act one curtain we see a glimpse of Cinderella’s arrival at the ball and then, after midnight, she is promptly back in her slum apartment. Inspired by the art of Salvador Dali, the sets, as well as the ingenious projections by Wendall K. Harrington, feature giant lips and forbidding eyes. The elegant moonlit terrace outside the ballroom turns to terror as the moon becomes a pulsing clock and the trees turn to become ominous metronomes. The costume palette of softy muted greys, greens, browns and purples is gorgeous, but it is the textures of the fabrics that really set the costumes apart. Tight wavy ruffles, flowing pom-pom shag, metallic spikes and full length swinging fringing are just some of the deliciously textures that will provide fascination in repeat viewings of the ballet. The ball begins with women in pant suits, their hair slicked down to complete the androgynous style. Cinderella’s silver and gold gown is such a hit that the women quickly change to dresses to emulate her chic look. The awkward stepfamily, each in their signature shade of mauve, musk and jade, hilariously get this fashion progression backwards. Music Director Nicolette Fraillon has overseen a major achievement in this full arrangement of Prokofiev’s intricate score. Orchestra Victoria acquit themselves superbly, with booming brass, delicate strings and all manner of percussion featured in the wonderfully expressive music. Rachel Burke’s lighting design bathes the stage in nostalgic light. 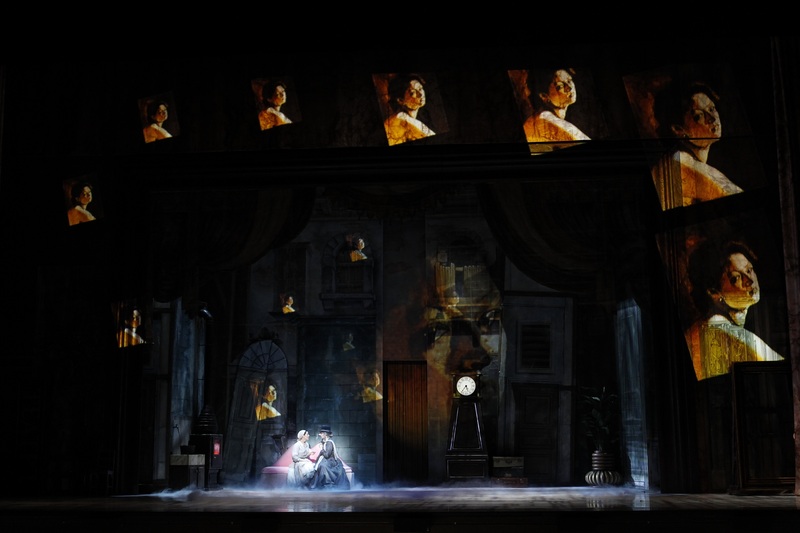 Burke makes easy work of lighting the action without interfering with the brightness of the projections. A particularly effective touch is the rippling, dream-state lighting that accompanies Cinderella’s fantasies. Leanne Stojmenov has the perfect period look for Cinderella, and the graceful lightness of her dancing is exquisite. By turns winsome and resolute, Stojmenov captures the disbelief and joy of a magical opportunity. Cinderella’s bliss at falling in love is embodied in the spectacular pas de deux on the terrace, which sets up the devastating moment when The Prince fails to recognize her after midnight. Daniel Gaudiello plays The Prince as a brooding rock star, adored by the masses yet unfulfilled in love. Outfitted in a splendid white satin suit, Gaudiello’s thick dark hair is flicked about to great effect. 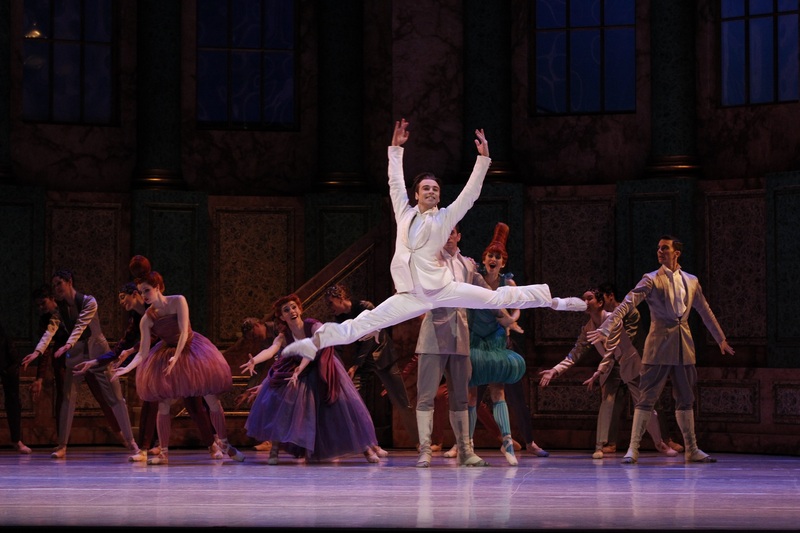 Elegantly slender yet deceptively strong, Gaudiello’s leaps are as high and agile as his lifts are strong and commanding. Amy Harris is an absolute delight as Cinderella’s Stepmother, delivering rounds of laughter as a vain, ambitious woman totally lacking in modesty or self-awareness. Her expressive face framed in a Joan Crawford wig, Harris also extends her expertise in dance to display a flair for physical comedy. Stepmother’s attempts at dancing at the ball are as hilarious as similar efforts from Kath Day-Knight. As Stepsisters Skinny and Dumpy, Ingrid Gow and Halaina Hills offer plenty of their own delightful moments. Sweet of face, we see the pair quickly learning ill-natured, ungracious habits from their monstrous mother. Hills is a hoot when Dumpy’s new coat does not fit. As Skinny learns to dance, Gow turns her years of dance training to pratfalls and awkward angles. Offsetting the tender romance of the central plot, the production is all the richer for the wonderful contributions of Harris, Gow and Hills. The full company grace the stage in a number of roles, the disciplined magnificence of their dance talents greatly enhanced by the focus achieved in their acting performances. 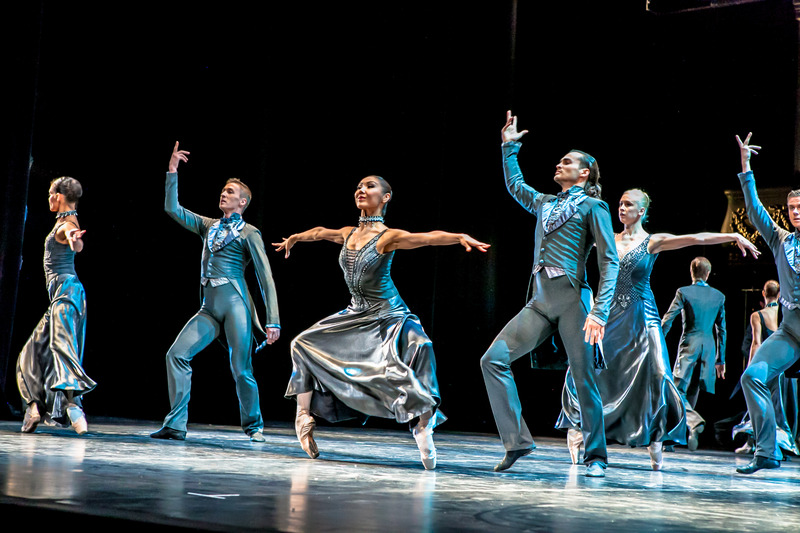 Cinderella is set to be the envy of the ballet world stage. Any remaining tickets should be snapped up immediately. Cinderella plays at State Theatre, Melbourne until 28 September 2013. 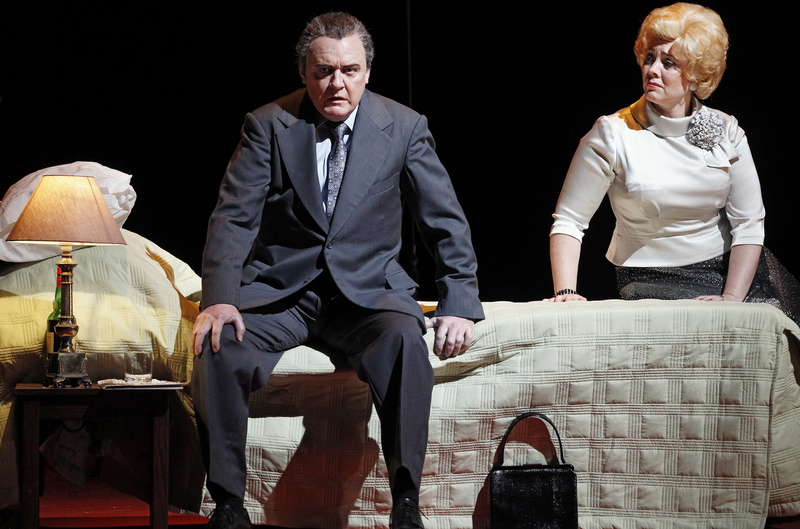 The Sydney season runs 29 November to 18 December 2013 at Joan Sutherland Theatre, Sydney Opera House. Looks good. Too bad they only come to NYC once in a blue moon. I’m seeing San Francisco ballet do Cinderella in NY in a few weeks once NYCB ends its fall season but this version looks more interesting. This week it’s all Swan Lake at the NYCB, except for tonight which was the fall Gala with three World Premiere dances. And a lot of people dressed to the nines. Monday starts Met Opera season. They are projecting the opening performance live on to the Plaza in front of The Met. Season opens with Eugene Onegin starring Netrebko. So one can certainly get a lot of Tchaikovsky at Lincoln Center this week and next. Of course the forecast for opening night is for rain. Last year it rained too. Hopefully the next time The Australian Ballet comes to NY they will do this production of Cinderella. It is a really wonderful, creative production and I am seeing it again this week. Happy New Met season opening! Hopefully I will get to see Onegin in the cinema in a few weeks. Meanwhile, I have booked for Boheme, Butterfly, Puritani and Andrea Chenier at the Met in April. Looking forward to hearing about the ones that you see see across this coming season. In other opera news, megastar Jonas Kaufmann is coming to Australia in August next year – cant wait! Cosi Fan Tutte. Nice to see Levine back but I don’t think this Mozart guy has much of a future in Opera. His comedic sensibility is dated and I’m not a fan. Onegin. Beautiful sets. Netrebko I like. The Nose. Most interesting production so far. So, of course, the crowd was somewhat sparse. I recommend The Nose. Haha ‘this Mozart guy’ – love it. I know what you mean though. The music is beautiful but the operas are old fashioned and hard to make fresh and interesting in ways that work with other composers. I believe The Nose will be in cinemas here. Australian singer Alexander Lewis is in that one at the Met. He was terrific here as the lead in Sunday in the Park with George this year. Thanks for the update! I hope you find some more gems to enjoy this season.